When it comes to shooting and accuracy in hitting the target, simply owning a gun is not enough but you need the right tools to set the target. The flip up sights also called back up iron sights gives the best backup when there is an optical failure. With the help of these flip up sights, you can get the optics right and aim for the target with precision and accuracy. When it comes to purchasing the flip up sights for AR15, it is a challenging task to actually find the best option. It is important to make the right investment and this comprehensive guide designed by experts will help you purchase best flip up sights for AR 15. 1 What to Look for in Flip Up Sights for AR 15? What to Look for in Flip Up Sights for AR 15? There are different features and attributes you need to consider before making the purchase. The sights are available in different variety but do make sure you look for the critical factors and make the right investment. The sights are available either as fixed or folding types or depending on your AR15 type; you can choose either of it. When it comes to fixed iron sights, it has no moving parts and helps in easy aiming if you have a primary targeting system on your AR. 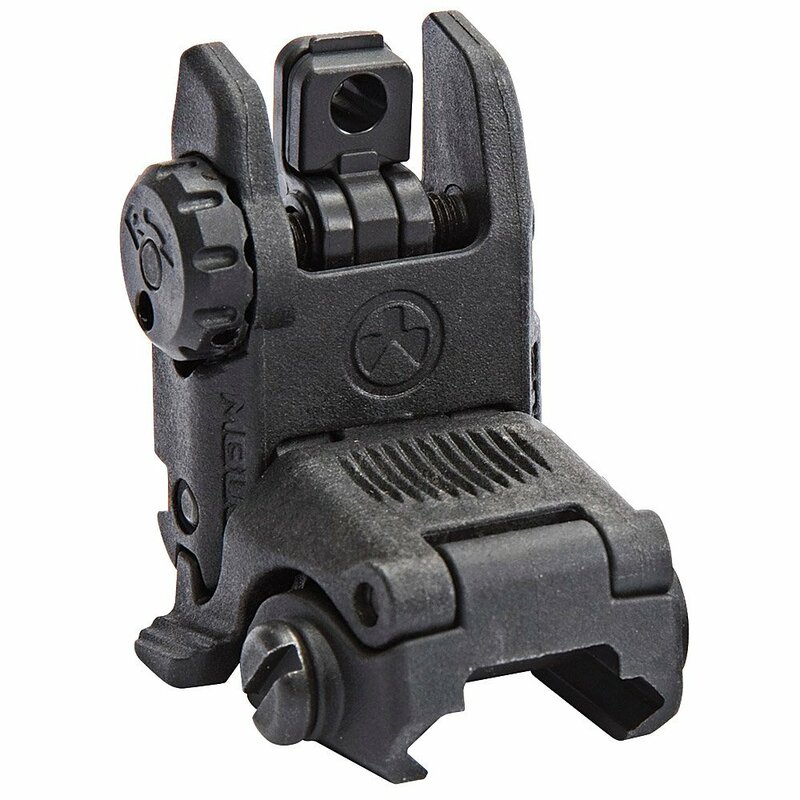 The folding sights are flexible and can be flipped down when it is not in use. The construction of the backup sights or flip up sight is an important aspect to consider depending on the quality you need. The most commonly used material is steel, aluminum and polymer. The most durable and strong material is steel whereas aluminum is comparatively lighter in weight. The polymer is lightweight and not as durable as former two. The aperture is something that needs to be proper for precision and accuracy of sight and shoot. The aperture of sight called peephole is something that you look through from rear sight and alignment of the front sight in this hole is necessary for proper aim. The bigger aperture used is for short range and is better for quick target acquisition and smaller aperture is better for long range shots. The visibility must be good in low light situations because without it poor eye-sighted people might find it difficult. 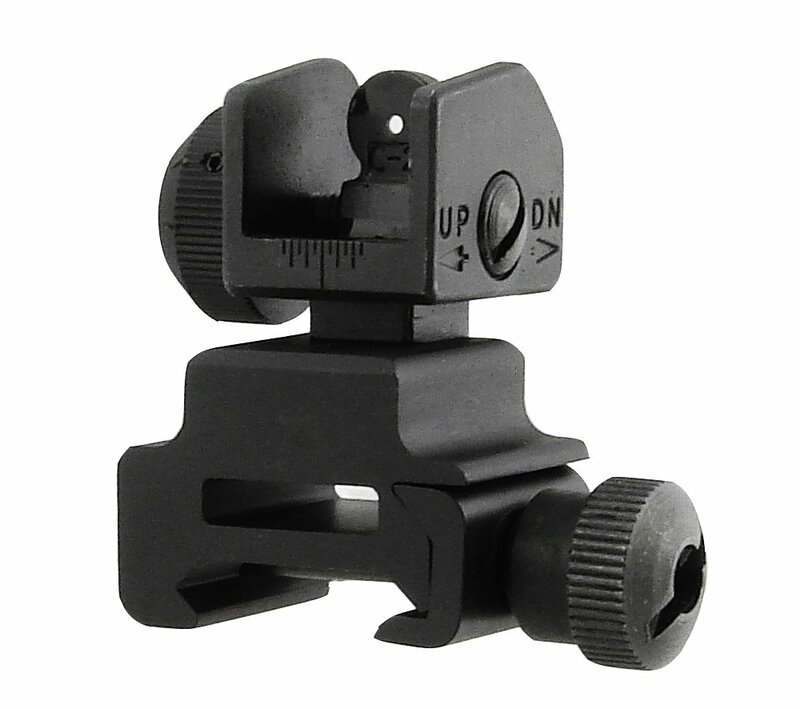 The hi-visibility front sight posts help in the creation of better contrast while aiming. The visibility can be maintained through tritium as well which are stored in tiny vials and placed within sights. This offers a glowing visibility in dark. The rear flip up sight from Magpul are constructed strongly using polymer material that imparts its overall light weight. The polymer construction imparts durability and is resistant to scratches and heavy impact. The model of flip-up sight has an adjustable knob and has the ability to fit a versatile range of 1913 Picatinny railed hand guards. The installation is instant and easy with help of this flip up sight and is very simple to use. It has two different types of apertures and along with it has adjustable windage. It is low cost and folding back up sight which can be used with the great amount of ease. One of the major selling points of this rear sight flip up is the inclusion of its dual aiming aperture which helps with wide range of shooting applications. The knob is positioned appropriately for windage adjustment. It has a Posi-lock feature which prevents tipping and can be installed easily with the help of locking thumb nut. The precision of the shooting is taken care by adjusting the sight’s windage. It is versatile as its Picatinny mounting deck is compatible with different types of flat top weapons. The construction of the flip up sight is strong and durable as the frame is constructed using aluminum and accepts both Weaver and Picatinny mounts. In order to prevent tipping, it consists of posi-lock and can be installed easily with help of locking thumb nut. The polymer integrated sighting system for the rear flip up sight is neatly designed with its proper compatibility to all modern sporting rifles. 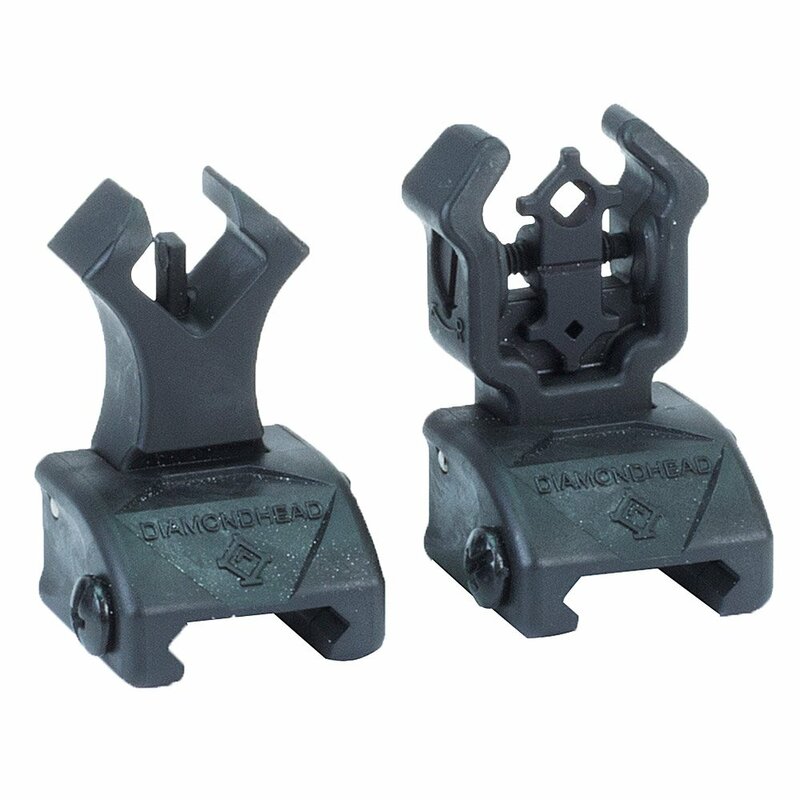 The product is integrated with patented diamond-shaped apertures that make it unique and is incorporated both on the front and rear sight. The upper housing comes with NiteBrite photo luminescent inserts which can be charged with help of natural light or flashlight. It is constructed using a polymer which gives it its overall durability, strength and makes it light weight. The flip up sight can be secured to all the 1913 Picatinny rails. The product is spring loaded which flips up instantly with just one button push, stay up and fold down flat as back up. It is great for maintaining precision and accuracy. The flip up sights for AR15 is an important product because it helps in precision and accuracy of aiming and shooting the target. The flip up sights are generally back up for optics which can be used for setting the target right and must be easy to install. There are different types of the product available in the market and with one click you can get it delivered to your doorstep through online order. The only problem is finding the right product. If you are unable to find the right product or confused about it, this guide will help you find the best flip up sights for AR 15 for the precision of shooting. The products reviewed with pros and cons are listed by experts after personal testing and trying for days. Make sure you read the buying guide before purchasing the backup sights online for best variety.